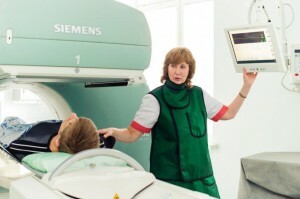 Estonia’s oldest nuclear medicine centre The nuclear medicine centre has been in operation for more than 15 years and uses gamma camera computer tomography (SPECT-CT) and positron emission tomography (PET). The centre has three places for inpatients. Complex tumours are treated by Dr Eve Kelk, who has worked in the hospital since 1994 and is the only endocrinologist in Estonia who is also certi- fied as a nuclear medicine specialist. Over 250 foreign patients come to the centre each year. 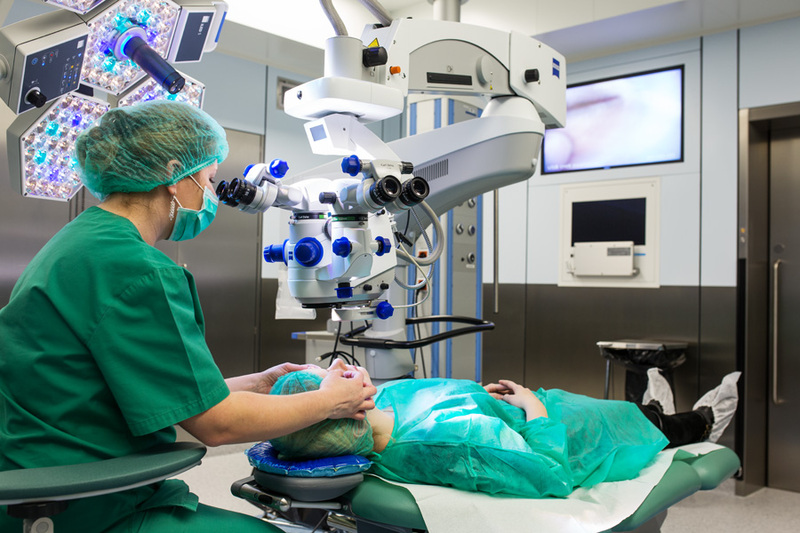 Internationally accredited eye centre The Baltic centre for treating eye tumours has been operating for 20 years and is where most cases of oncological eye diseases from across the region are treated. The treatment methods and technical equipment used allow sight-saving care to be provided for many diseases that were previously considered untreatable. The European Board of Ophthalmology gave the clinic its international accreditation in 2011, which also granted it the status of teaching clinic and the right to train European eye specialists. The clinic has five operating theatres where an average of 40 operations are done each day. In 2013, the clinic treated 1234 inpatients and 5589 outpatients, and the doctors of the clinic received 68,004 patient visits. A maternity hospital ready for anything The hospital has the oldest maternity centre in Estonia, with traditions going back to 1804. Last year 3731 children were born here, one quarter of all the births in Estonia. The centre has nine birthing rooms and four baths for water births, and a level three intensive care ward for newborns, the highest level possible, where emergency and problematic births from across North and West Estonia are handled. The clinic has the only milk bank for breast milk in the Baltic states and was the first in Estonia to use kangaroo shirts for babies needing special care. The hospital is the only one in Estonia that has been declared baby-friendly by UNICEF.